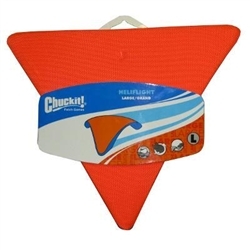 Chuckit!® HeleFlight toys are designed for exceptional visibility and performance. They are soft & resilient. They produce high lift and are easy to pick up.